A Pittsburgh City Council member told a local radio show on Tuesday the city would move forward with passing new gun-control legislation despite a warning from a local district attorney that it would violate state law. "We believe we're on the right side of history," Pittsburgh City Council member Corey O'Connor told KDKA. "We're doing what's right for not only our city but we think it’s what's right across the country and nobody's going to stop us from doing that." The City Council is currently considering legislation that would ban certain kinds of firearms like the AR-15, bump stocks, and magazines capable of holding more than 10 rounds, and so-called armor-piercing bullets within city limits, as well as implement Extreme Risk Protection Orders allowing law enforcement to seize firearms from individual residents in certain circumstances. Gun-rights groups have already vowed to fight the proposed legislation in court because they believe it violates a state law forbidding localities in Pennsylvania from creating their own gun-control ordinances. Last week, Allegheny County district attorney Stephen Zappala wrote a letter to the City Council outlining his belief the proposed ordinances would be illegal. "I greatly appreciate you forwarding me the proposed legislation, referenced above," Zappala wrote. "As the District Attorney of Allegheny County for the past 20 years, I understand the efforts to curtail gun violence and limit the accessibility to assault weapons, ammunition, and gun accessories capable of causing widespread injury, destruction, and death. I am also aware of the city's effort previously under Mayor Ravenstahl which was decided against the city in 2010. While I certainly see the desire for such type of legislation at the state and federal levels, I believe that City Council does not have the authority to pass such legislation." Zappala warned that council members could potentially face a criminal complaint if they violate the state's preemption law which bars localities from passing local gun-control laws. "I am certain that you have sought the legal advice of your Law Department as to whether 18 Pa.C.S. §6119 would permit a criminal complaint to be filed against an individual member of Council who violates 18 Pa.C.S. §6120 by voting to adopt these types of regulations," he said. "Likewise, I am sure you have discussed the due process implications of enacting any legislation reviewed by your Law Department, and found to be unconstitutional. I am also certain that you realize that if such legislation passes, there is sure to be a resident of Allegheny County who seeks to file a private criminal complaint alleging a violation of §6120. Those are matters which will confront my Office, should the legislation be enacted." He went on to say he believes only the state government can enact the kind of gun-control measures the City Council is considering. "As indicated, I understand the desire of local governments to be proactive in reducing gun violence and the opportunities to cause the type of pain, suffering, and death, which recently occurred in the City of Pittsburgh," Zappala said. "I believe however, that the legislative effort needs to come from the General Assembly of the Commonwealth of Pennsylvania and that the legislation currently before Council, if passed, will be found unconstitutional." O'Connor told KDKA the council had received and reviewed Zappala's letter but were going to move forward anyway because they believe it is the right thing to do. "I would argue we are doing the right thing," he told the radio station. "We said we were going to do this. We are taking the stand that we are doing what's right for our constituents." 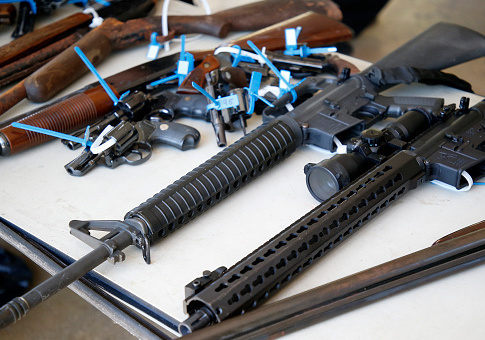 There will be a public hearing on the proposed gun-control measures on Jan. 24. UPDATE 4:21 P.M., Fri 18 Jan: This post has been updated to show the public hearing on the proposed measures is scheduled for January 24, not January 26. This entry was posted in Issues and tagged Gun Control, Guns, New Gun Laws, Pennsylvania. Bookmark the permalink.